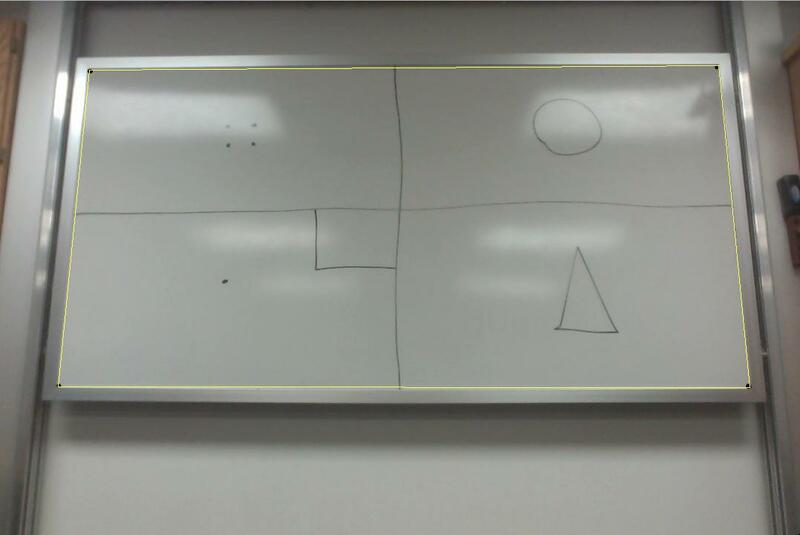 In other words, I want to transform the image into a head-on view of the whiteboard. 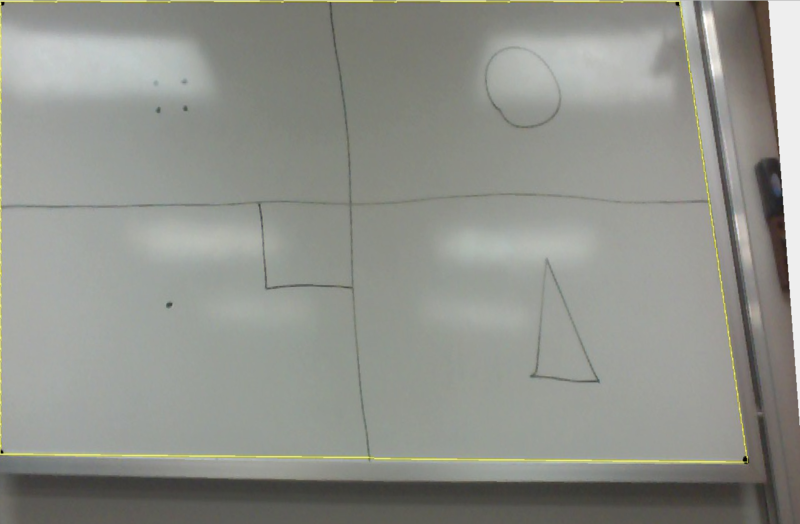 As you can see, it is NOT a rectangle, but some sort of misshapen quadrilateral. It's close, but not exactly a head-on view of the whiteboard! What exactly happened here? I really thought an affine transformation would work. An affine transformation doesn't have enough freedom to do what you want. Affine transforms can be constructed to map any triangle to any other triangle, but they can't map any quadrilateral to any other quadrilateral. One way to see this is that the matrix for a 2D affine transform has only 6 free coefficients. That's enough to specify what it does to 3 points, but not 4. For this task you likely want a projective transformation. A 2D projective transformation has enough freedom to map any convex quadrilateral to any other. Not the answer you're looking for? Browse other questions tagged image-processing affine-transformations linear-algebra or ask your own question. How would I convert a picture of a slanted surface into a straight one? How to derive a perspective projection matrix from its components?